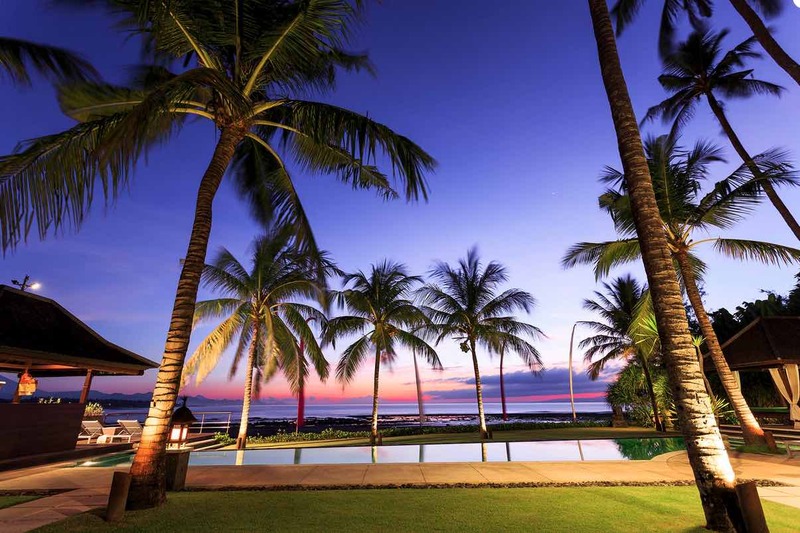 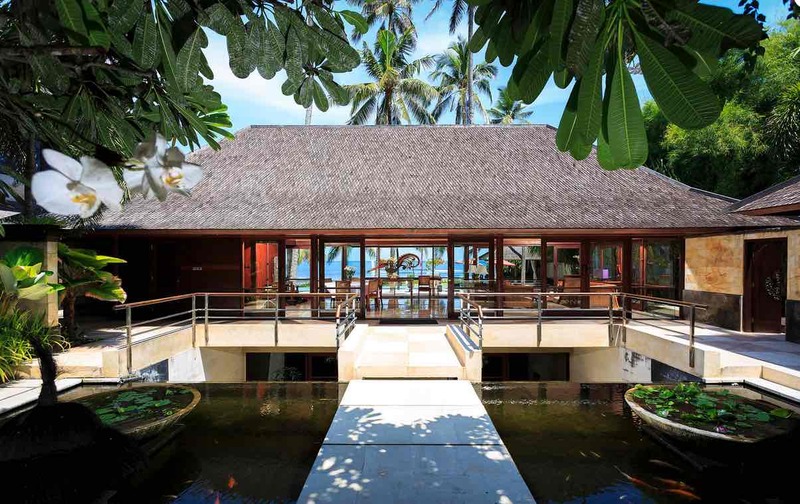 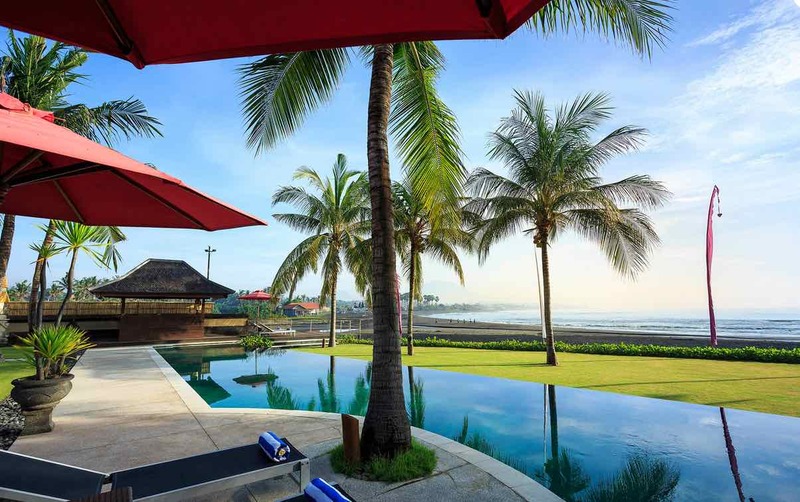 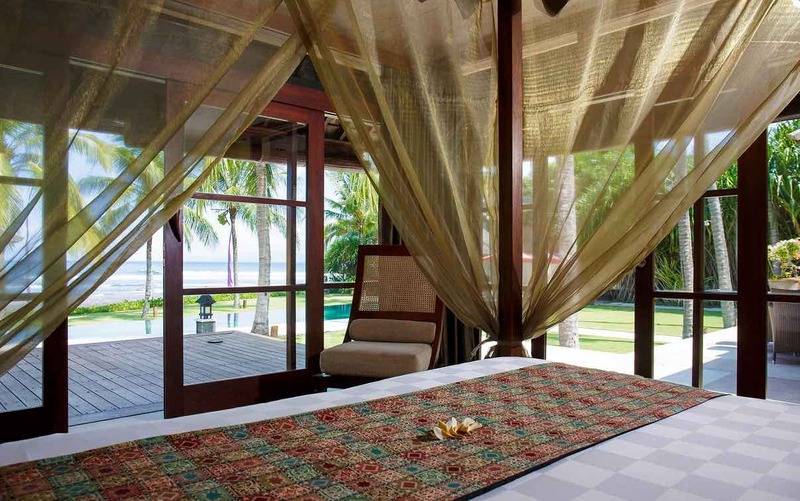 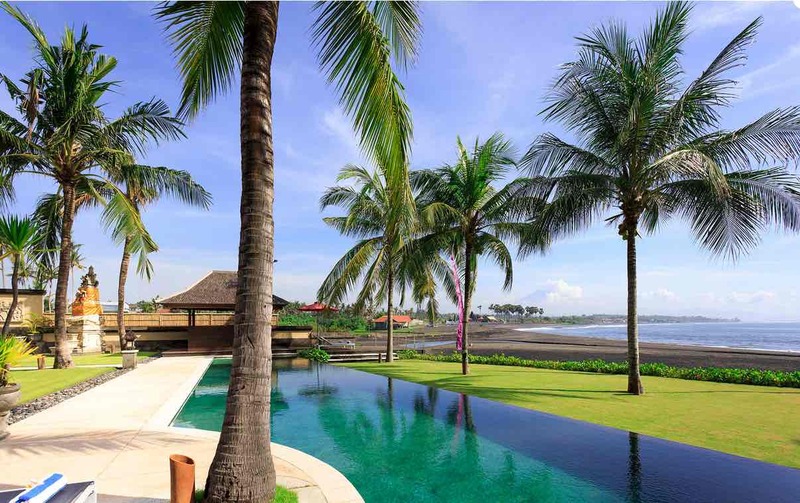 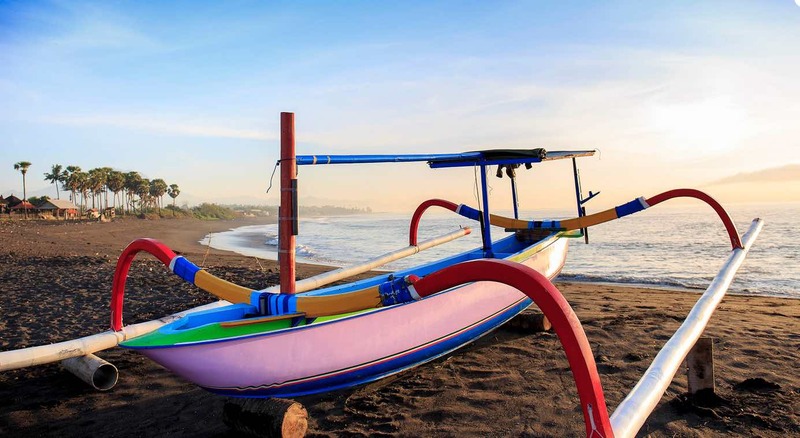 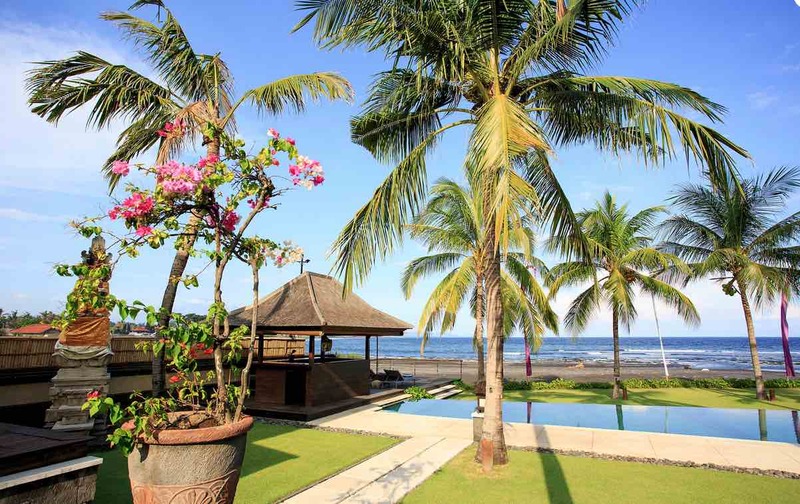 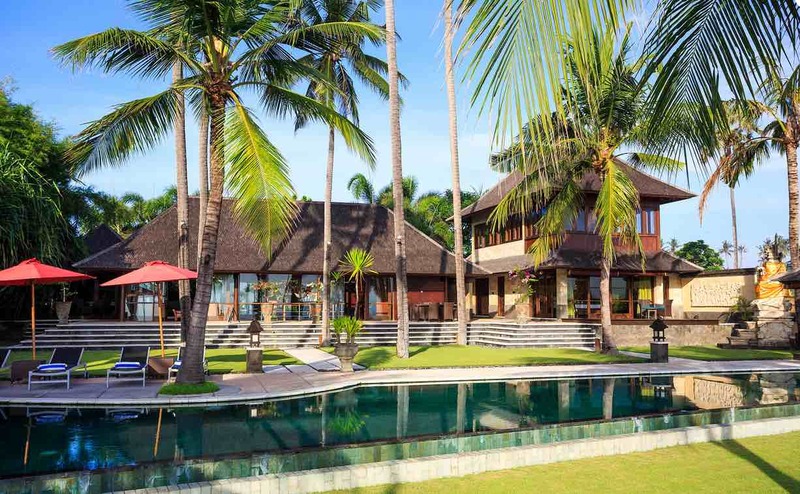 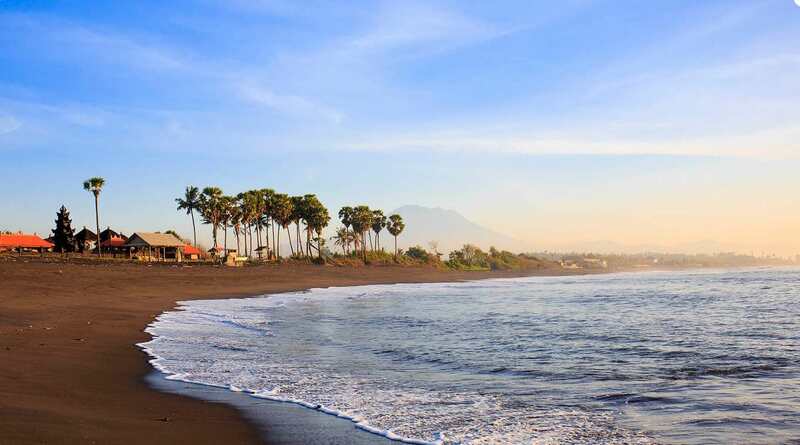 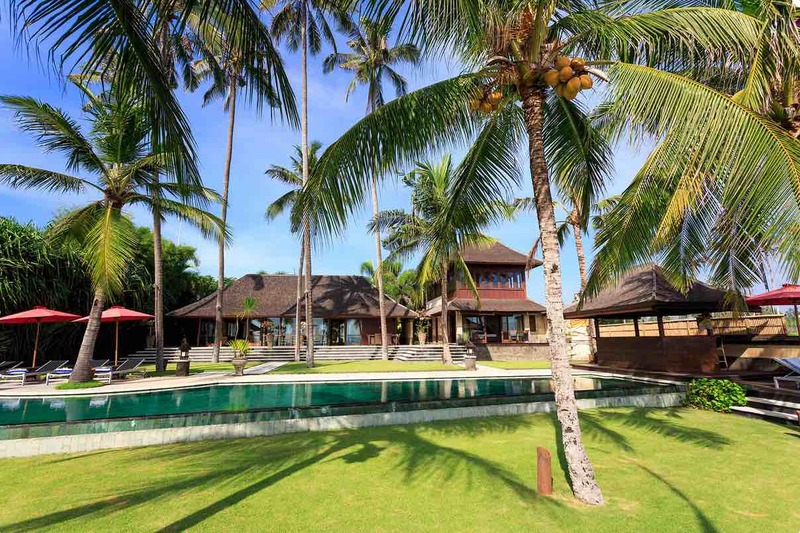 For a wedding venue that offers ocean front luxury & complete privacy, Villa Pushpapuri in Sanur is the perfect choice. 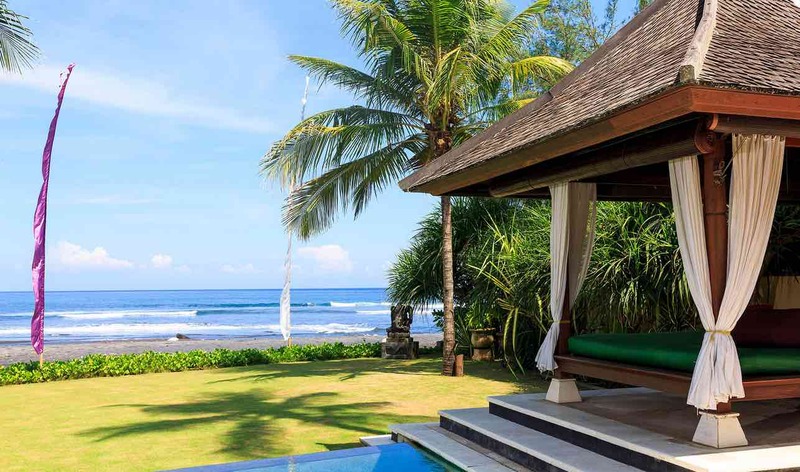 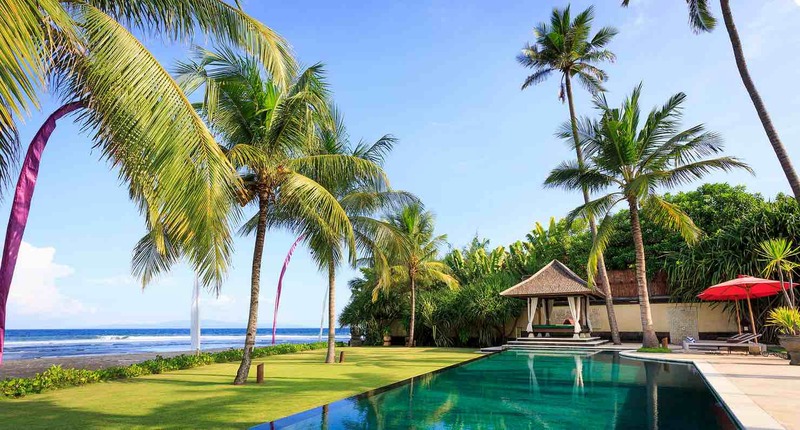 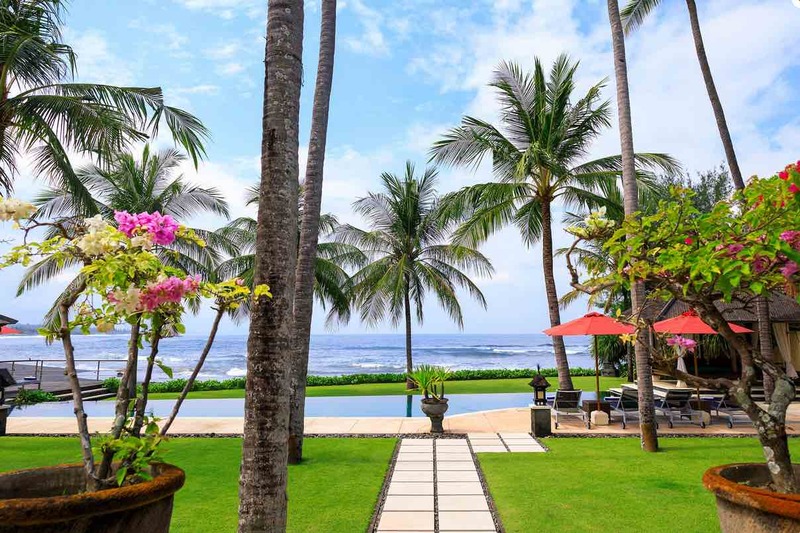 The villa lawns at Pushpapuri Sanur roll onto the ocean sand so you’ll have an abundance of choice when it comes to deciding where to take your wedding photographs; either by the pool, among the gardens, in a nearby rice-field, or by the beach. 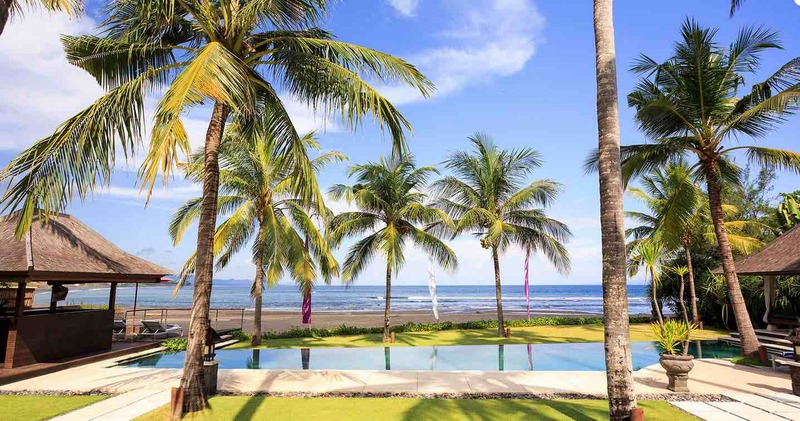 But Cindy, your wedding planner at Your Bali Wedding will help you make this hard decision. 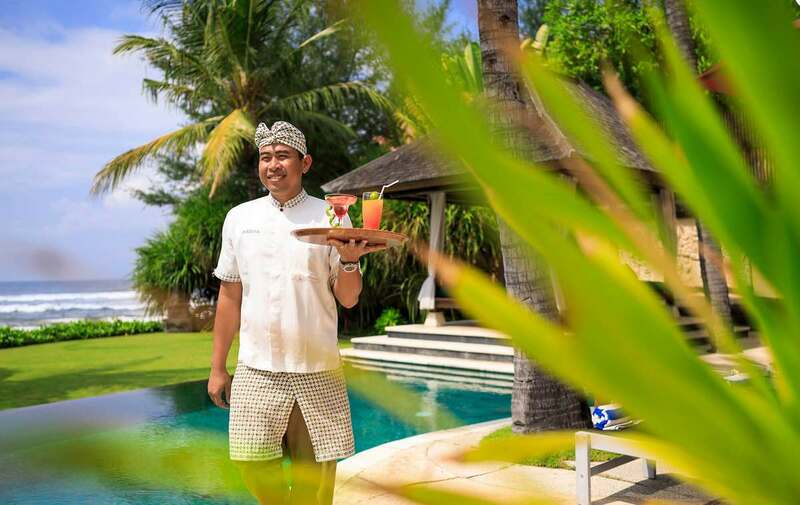 The extra large 20 metre pool is complemented by a poolside bar and dreamy sunbeds. 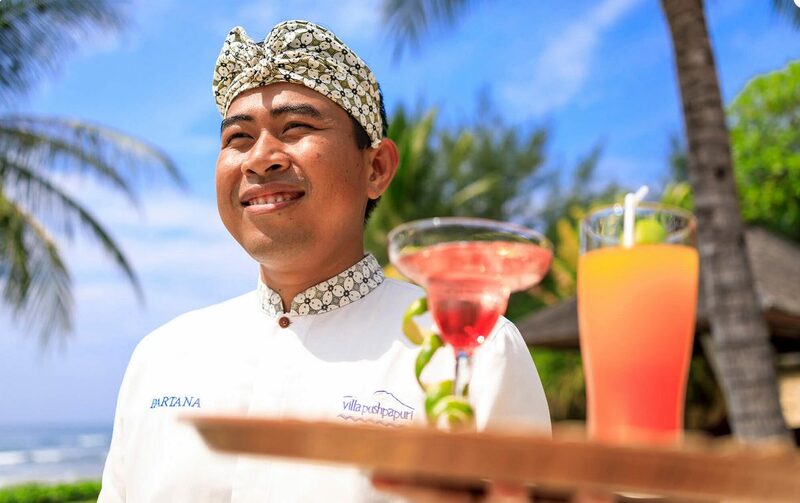 If you choose to stay at Pushpapuri to enjoy your honeymoon you will be excellently spoiled by the full-time manager, 2 chefs, 2 butlers, 2 housekeepers and if you need a babysitter, massage therapist, or a personal yoga instructor – it can be readily organized. 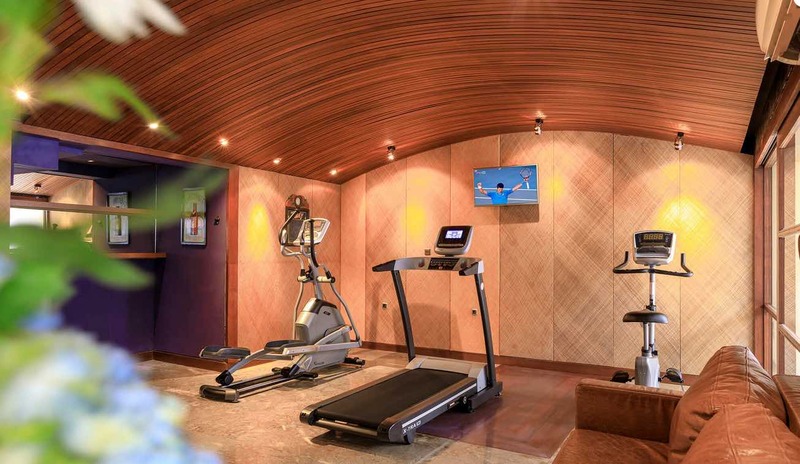 Be ready to receive world-class treatment. 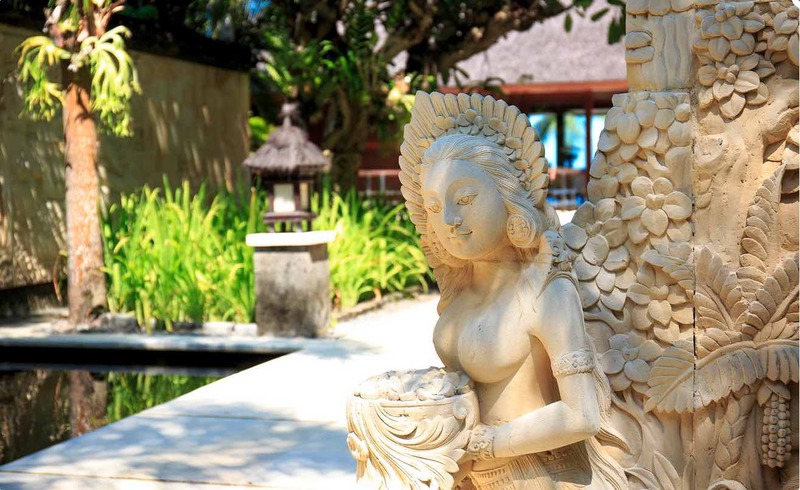 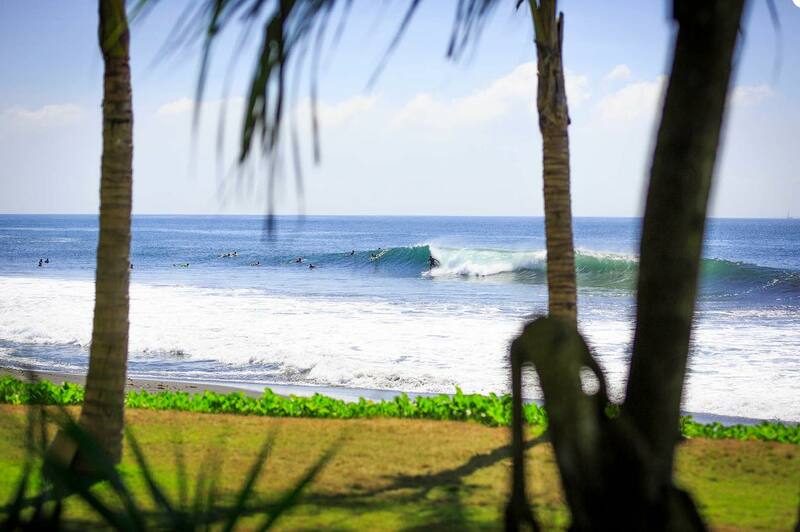 If your looking for the ultimate wedding villa in Bali, then take a closer look at this sensational place. 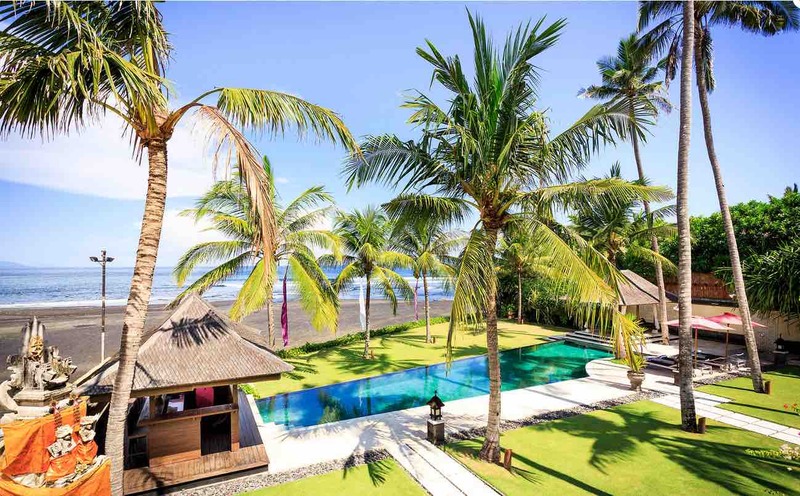 If you want privacy, luxury and a brilliant oceanfront wedding villa that can hold up to 150 guests then Villa Pushpapuri is the one! 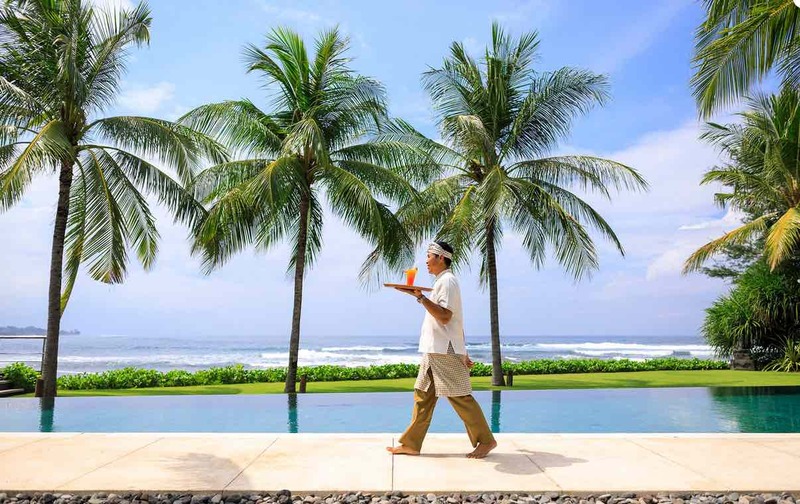 Full-time manager ( can organise tours, dinner reservations & parties, BBQ nights, in villa spa treatments and massage), 2 chefs, 2 butlers, 2 housekeepers, 3 security guards, 2 gardeners, driver.